Follow my work on ORCID, NC DOCKS, and on Google Scholar. e-Black Champaign-Urbana: Community Informatics and Cultural Heritage Information in a Low-Income Community 2011, University of Illinois at Urbana-Champaign. Committee: Abdul Alkalimat (Chair), Kate Williams, Anne Gilliland (UCLA). Noah Lenstra, “Social inequalities in the shaping of community cultural heritage infrastructure,” in Participatory Heritage, eds. Henriette Roued-Cunliffe and Andrea Copeland. New York: Facet, 2017. Noah Lenstra, "Democratizing" Genealogy and Family Heritage Practices: The View from Urbana, Illinois, eds. Mike Robinson and Helaine Silverman, Springer, 2015. 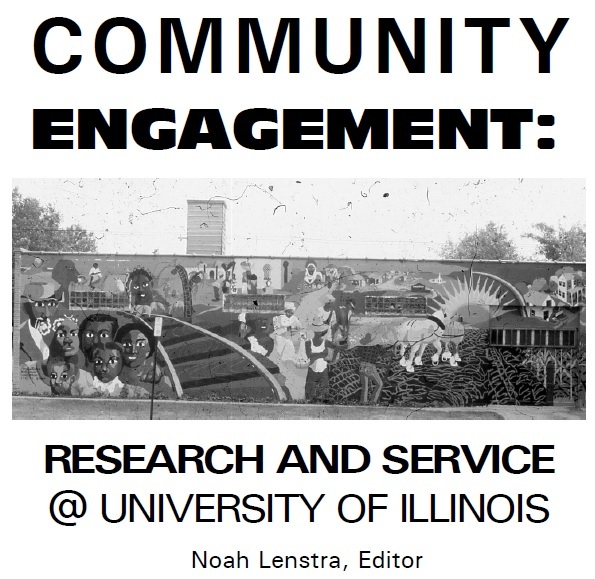 Noah Lenstra, 'You Know You From Champaign-Urbana': an Ethnography of Localized African-American Archiving Initiatives, in Identity Palimpsests: Archiving Ethnicity in the U.S. and Canada, eds. Dominique Daniel & Amalia Levi, Litwin Books, 2014. Noah Lenstra, "Cyberorganizing Everyday Heritage in and around Public Libraries: An Exploratory Study in Illinois," Public Library Quarterly, 33(1), 2014: 1-22. Kate Williams, Noah Lenstra, Shameem Ahmed and Qiyuan Liu, "Research note: Measuring the globalization of knowledge: The case of community informatics." First Monday, 18(8), 2013. Noah Lenstra. "The Community Informatics of an Aging Society: A Comparative Case Study of Public Libraries and Senior Centers. Poster presented at Doctoral Student Poster Session, Association for Library and Information Science Education (ALISE) 2016 Conference, Boston, January 5-8, 2016 (won Honorable Mention Award). Noah Lenstra. "Connecting Local and Family History with Personal Digital Archiving: Findings from Studies in Four Midwestern Public Libraries. Personal Digital Archiving 2013, College Park, MD, February 21-22, 2013. Shameem Ahmed, Catherine Blake, Kate Williams, Noah Lenstra, and Qiyuan Liu. Identifying Claims in Social Science Literature. Fort Worth, Texas, iConference 2013, February 12-15, 2013. [received honorable mention]. Noah Lenstra and Abdul Alkalimat. "Networked Cultural Heritage and Socio-Digital Inequalities: A Case Study in an African-American Community" iConference 2012, Toronto, February 7-10, 2012. [Received best paper award]. Kate Williams, Noah Lenstra, Shameem Ahmed and Qiyuan Liu What is community informatics? : a global and empirical answer," iConference 2012, Toronto, February 7-10, 2012. Noah Lenstra. "The history and future of local history infrastructure: Open access and Commodification of local history in the United States and the Anglosphere." Paper presented at The 5th International Conference on Cooperation and Promotion of Information Resources in Science and Technology (COINFO10): Information Sharing in U-Era, Beijing, China, November 27-29, 2010. [Selected for Best Paper Award. Versions of paper also presented at Peking University (November 30) and Renmin University (December 1), both in Beijing]. Noah Lenstra. "eBlackChampaign-Urbana: Data Curation Meets Community Informatics," Digital Curation Conference, Chicago, December 6-8, 2010. Noah Lenstra, "Family Trees: A History of Genealogy in America," Francois Weil, in Annals of Iowa,Spring 2014. Noah Lenstra, "Midia cidada: utopia brasileira," ed. Jose Marques de Melo; Maria Cristina Gobbi; Luciano Sathler, in The Journal of Community Informatics,special issue on Community Informatics in Brazil, 2011. Noah Lenstra, "Archives and Archivists in Twentieth Century England," Elizabeth Shepherd. in Archival Issues: the Journal of the Midwest Archives Conference, v. 32 (2010). Noah Lenstra, "What are Archives? Cultural and Theoretical Perspectives: a reader ," ed. Louise Craven. in Archival Issues: the Journal of the Midwest Archives Conference, v. 31 (2009).